In a steampunk version of Victorian England, a young woman named Cardia Beckford lives in isolation in her family's tumbledown home, trapped there by the poison running through her veins and the fact that she has no memories prior to two years ago. Her life is upended when soldiers of Queen Victoria come for her, calling her a monster – and she's then whisked away by Arsène Lupin, the gentleman thief. Lupin takes her to the manor of le Comte de Saint-Germaine, where she learns that her missing father, Isaac Beckford, may have been involved in some of the very shady goings-on trying to bring an end to Victoria's reign. 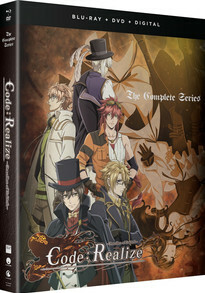 Cardia joins with Lupin, Victor Frankenstein, Impey Barbicane, and Abraham van Helsing to find her father, put a stop to his machinations, and maybe find a cure for the poison preventing her from living a normal life. If the sheer number of male characters surrounding one young female character in the synopsis didn't clue you in, Code:Realize is a reverse harem anime based on an otome game. While it does fall into some of the pitfalls of the genre, it also manages to avoid some of the more egregious ones along the way, with the major one being that while heroine Cardia begins the story as a relatively personality-less character, part of the thrust of the plot is her discovering not only that she has wants and wishes, but that she's allowed to be as human as the next person. That's a rewarding journey alongside the more action-oriented tale of some of literature's best-known characters fighting to stop a young man whose name literally means “the end” (Finis) as he seeks to destroy the Victorian world. Part of Code:Realize 's draw is that all of the main male characters (and a few of the female ones) are based on people of the same name from works of 19th century fiction. While some viewers may be familiar with the name “Lupin” from the numerous anime works about his fictitious grandson, this series features Maurice Leblanc 's original gentleman thief as its primary romantic interest. (The anime largely follows elements of Lupin's route from the original game.) Equally familiar to many will be young scientist Victor Frankenstein from Mary Shelley 's 1818 novel of the same name, while monster-hunting Abraham van Helsing is nearly as well-known as his vampiric nemesis from Bram Stoker 's 1897 novel Dracula. Perhaps less familiar are the remaining two main characters, Impey Barbicane and Saint-Germaine. While it isn't strictly necessary to know who they are, the knowledge that Impey hails from Jules Verne 's 1865 book From the Earth to the Moon explains a lot about Impey's actions in the show, as his role in Verne's novel is to devise a giant gun with which to shoot a man to the moon's surface – something referenced in an episode where he does something similar to van Helsing. (Verne's Impey is a member of the Baltimore Gun Club and is fascinated with things that go boom.) Saint-Germaine, on the other hand, is based on a mysterious 18th century French nobleman who was later turned into an immortal vampire in Chelsea Quinn Yarbro's novels. His timelessness is the most important piece of his role in the show. As an added bonus, the extra thirteenth episode features Lupin's rival Herlock Sholmes, author Maurice Leblanc 's figurative middle finger to Sir Arthur Conan Doyle , who objected to Leblanc pitting his thief against Conan Doyle's Sherlock Holmes. Literary draws aside, the anime unfolds at a good pace, largely lacking in episodes that don't move the plot forward. Largely this means that we're left to take a lot of the world at face value without significant world-building put into the show; at times that can feel like a disadvantage, particularly where evil organization Twilight and the mysterious grey group Idea are concerned. Idea feels like the bigger casualty in general, as Saint-Germaine's and Guinevere's roles are never sufficiently explained, nor Idea's actual purpose beyond a cursory overview. In an interesting counter to this, Cardia's past is smoothly implied without spending too much time explaining the minutia of it. In part this may work because of the presence of Victor Frankenstein; it isn't difficult to make the connection between her life and that of the scientist's fabled monster. The difference is that unlike the monster, Cardia has people who support her and help her to realize her own humanity, something denied to Frankenstein's own creation. Although the steampunk setting does away with any real need for (or interest in) historical accuracy, there are still a few details that show that some attention was paid. 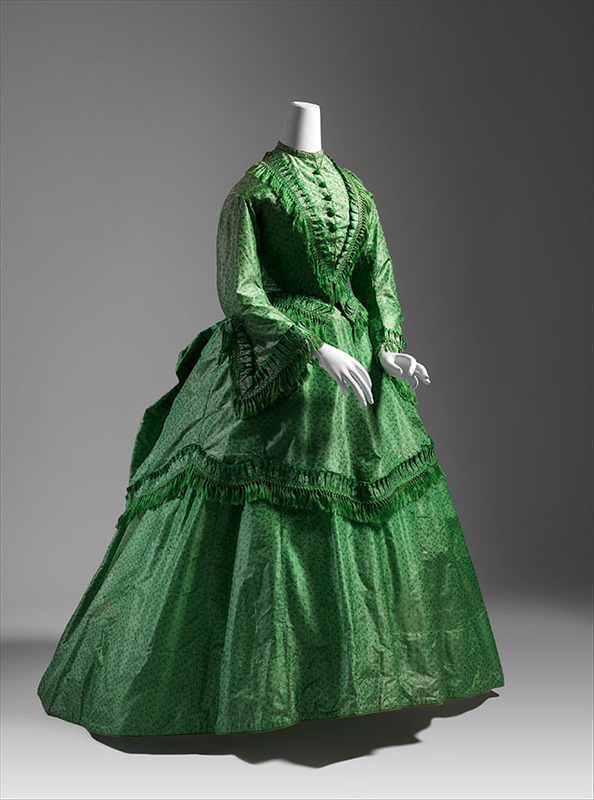 Among them the most interesting is probably the particular shade of Cardia's eyes, a bright green that may be intended to represent Scheele's Green, a popular shade during the Victorian era – and one that was made with enough arsenic that it did in fact kill people. Given that Cardia's body is poisonous to the touch, it feels like a distinct possibility that the color was chosen deliberately. Also worth noting is the episode where escape tunnels underneath Buckingham Palace are used by the main cast; while no significant ones have been found, persistent myths about their existence have been around for centuries. Both sub and dub tracks on the discs are well done, with strong performances even if at times the dub does feel like a smarm-off between J. Michael Tatum (Lupin) and Austin Tindle (Sholmes). Trina Nishimura 's Dracula may be a bit grating for some viewers when compared with Miho Ishigami 's version of the character, and Gô Shinomiya 's unhinged Nemo is difficult to top, although his dub voice does a good job as well. The extra episode is not dubbed, and extras are limited to the usual songs and trailers. Code:Realize is still most likely to appeal to otome and reverse harem fans, but within that niche it's both a good adaptation of its source material and an interesting story. With nods to its characters' literary origins and history and a heroine who evolves from a blank slate into a more realized person, it is an overall enjoyable experience.